Last week's positive performance across global markets gave investors a chance to catch their breath and retest the waters. US stocks were up with the S&P 500 notching a 2.85% gain and the Dow Jones Industrial Average up 2.61%. The tech-heavy Nasdaq Composite Index was up just over 3.87%. European stocks were also up, posting a positive 1.87% as measured by the Stoxx Euro 600 Index. Japanese equities gained 6.8% after the Nikkei 225 Index rebounded from heavy selling the week before. US equities posted their first three-day rally of the year and the biggest three-day gain since August of 2015 last week. While all sectors were up, the energy and financials sectors are still down year-to-date as oil and stubbornly low interest rates continue to weigh on those areas of the market. 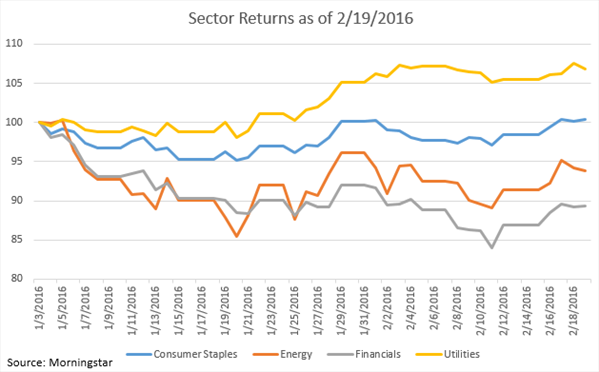 In fact, the energy and financial sectors are down 6.21% and 10.65% for 2016, respectively. As the chart below highlights, only the utilities and consumer staples sectors are holding onto positive territory with consumer staples only just so. Will 2016 be another year where a small group of stocks or sectors drive the market's performance? No one knows for sure but we continue to believe that active management, with a focus on being selective while leveraging secular trends, is still the most prudent way to manage an equity portfolio. The Federal Reserve released the minutes from its most recent meeting last Wednesday, allowing investors a glimpse into how one of the world's most powerful central banks views the economy and global markets. While investors already knew the outcome of the meeting, being able to see details on how the Federal Reserve came to the decision not to raise rates is what markets were focused on last week. More specifically, the Federal Reserve minutes showed that officials were struggling to agree on their outlook for inflation and how risks to the economy may materialize. What appeared to drive markets upward was the fact that the Federal Reserve gave few clues as to when they will raise rates again, indicating that rates will likely remain lower for longer. The next meeting for the Fed is March 15-16 and, given their comments from the January meeting, an interest rate increase at that meeting seems more unlikely than ever. As we said in our 2016 outlook, we continue to believe that the Federal Reserve's initial target of 1.25-1.50% by year-end would be difficult to achieve. 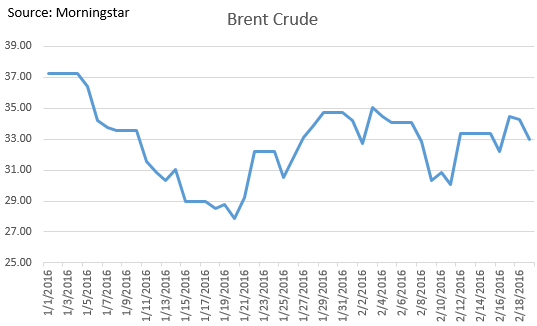 Oil prices were whipsawed this past week as news of a potential production cut pushed prices higher while larger inventory stockpiles weighed on the commodity. Russia, Saudi Arabia, Qatar and Venezuela met earlier last week and indicated that they will cap their output if Iran and Iraq did so as well. While both Iran and Iraq have not confirmed whether they will participate, it is newsworthy in that Russia has joined the chorus of those countries seeking to limit production. Russia had previously refused to consider such action. It's no wonder oil-rich countries are beginning to take these measures. While energy companies must delay investment and lay off workers, countries that largely depend on oil revenue are reeling from the low prices. In fact, Saudi Arabia had a record deficit of almost $98 billion in 2015 and Standard & Poor's just reduced the country's credit rating from A+ to A-, citing the long-lasting impact of low oil prices on the economy. In all likelihood, oil volatility will remain elevated as investors await the impact of the agreement on future inventory levels as well as any changes in global demand. It's easy to think that we know almost everything about our planet. Other than the deepest oceans, humans have explored nearly every square mile of every continent and, with the use of satellite photography, this becomes all the easier. Despite this, we still discover amazing natural wonders not previously known to science. In many cases these are the subject of rumor or shrouded in mystery and distorted over the years as they are passed down through generations. Some of these tall tales turn out to be just that, nothing but fiction used to tell a story. However, there are some that turn out to be true. Up until recently, there was a rumor of a river deep in the Peruvian rainforest that is so hot it can literally boil. Adding to the mystery were cryptic references to the river in old petroleum survey reports dating back to the 1930's. It wasn't until geoscientists decided to pursue those legends and journey deep into the rainforest to see it with their own eyes. What they discovered was the Mayantuyacu, a natural, 4-mile geothermal stretch of a river that is indeed over 200 degrees Fahrenheit. This is exceptionally amazing in that it would require incredible amounts of heat to boil the river's flowing water. While there are documented hot springs throughout the Amazon, none are nearly as big as the Mayantuyacu or as far away from the nearest volcano. In fact, the river lays hundreds of miles away from the closest active South American volcano, making it truly a natural wonder. * Content in this material is for general information only and not intended to provide specific advice or recommendations for any individual. All performance referenced is historical and is no guarantee of future results. All indices are unmanaged and may not be invested into directly. * DJIA: The Dow Jones Industrial Average is comprised of 30 stocks that are major factors in their industries and widely held by individuals and institutional investors. * STOXX EUROPE 600 INDEX: The Stoxx Europe 600 Index is derived from the Stoxx Europe total Market Index and is a subset of the Stoxx Global 1800 Index. With a fixed number of 600 components, the Stoxx Europe 600 Index represents large, mid and small capitalization companies across 18 countries of the European region. * S&P 500 INDEX: The Standard & Poor’s 500 Index is a capitalization weighted index of 500 stocks designed to measure performance of the broad domestic economy through changes in the aggregate market value of 500 stocks representing all major industries. * NIKKEI 225 INDEX: The Nikkei 225 Index is a Japanese index that tracks the top 225 companies listed on the Tokyo Stock Exchange. It includes the most liquid Japanese stocks listed in the first section of the Tokyo Stock Exchange. It is price-weighted and yen-denominated. * The NASDAQ Composite Index measures all NASDAQ domestic and non-U.S. based common stocks listed on The NASDAQ Stock Market. The market value, the last sale price multiplied by total shares outstanding, is calculated throughout the trading day, and is related to the total value of the Index. * Past performance does not guarantee future results. * Charts and graphs should not be relied upon as the sole basis for any investment decision and are for general informational purposes only. 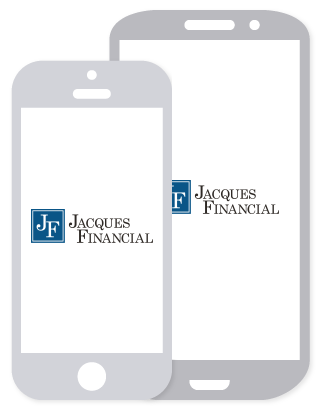 * Consult your financial professional before making any investment decision. * This newsletter was prepared by CWM, LLC.Russell 3000 Financials Index * The Russell 3000 Financials Index is a subset of the Russell 3000 Index which is a market capitalization weighted equity index maintained by Russell Investment Group. It is considered representative of the financial sector within the 3,000 stocks included in the domestic Russell 3000 Index. * Russell 3000 Utilities Index: The Russell 3000 Utilities Index is a subset of the Russell 3000 Index which is a market capitalization weighted equity index maintained by Russell Investment Group. It is considered representative of the utilities sector within the 3,000 stocks included in the domestic Russell 3000 Index. * Russell 3000 Consumer Staples Index: The Russell 3000 Consumer Staples Index is a subset of the Russell 3000 Index which is a market capitalization weighted equity index maintained by Russell Investment Group. It is considered representative of the consumer staples sector within the 3,000 stocks included in the domestic Russell 3000 Index. * Russell 3000 Energy Index: The Russell 3000 Energy Index is a subset of the Russell 3000 Index which is a market capitalization weighted equity index maintained by Russell Investment Group. It is considered representative of the energy sector within the 3,000 stocks included in the domestic Russell 3000 Index.